UPDATED | ITV is preparing to roll-out missing HD versions of its Channel 3 services by the end of the year. 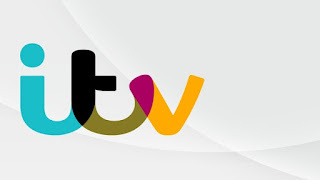 The move will enable viewers on satellite (Sky and Freesat) to see a version of ITV that is more local to them, and will make at least one sub-region from each of the main ITV regions in England and Wales vailable in HD. In the South West, viewers will be treated to HD versions of both sub-regions serving the area - covering the former TSW/Westcountry and HTV West regions, reflecting the fact that both these regions were once standalone ITV stations before they were merged in the last round of Channel 3 licence changes. The launch is currently scheduled to happen late in November, with ITV sources mentioning the 24th, although confirmation of that date is yet to be provided. The broadcaster last week secured an Ofcom licence to broadcast the service in HD. ITV Border is also expected to gain an HD simulcast of its service, which is expected to be a copy of the Border England service. ITV has recently increased the number of HD channels it carries per transponder to make room for the extra regional versions. Following these additions, all ITV regions for England and Wales will be represented in HD on satellite, following the addition of HD versions of ITV Anglia, Tyne Tees and Yorkshire earlier this year. Whether any sub-regions, that provide regional news opt-outs for viewers in places such as the East Midlands, East Yorkshire, Cambridgeshire and Oxfordshire, turn up in HD in the future remains to be seen. In the meantime, these viewers will continue to see news programmes covering the other half of their region in HD, and will need to switch to SD to see the most relevant news stories for their area. There has been no further word as yet of the additional HD regions coming to Freeview. Currently, only ITV Central (West), Granada, London, Merdian (SE) and Wales are carried on Freeview HD. So far, the service has been unable to support the addition of HD services for the Anglia, Yorkshire and Tyne Tees regions. ITV Channel Television, the service for the Channel Islands, is also HD-less.